Is It Time to Explore Refinancing? Lower Monthly Payments. Build Equity Faster. Access Tax-Deductible Funds. How far below what you now pay do interest rates have to go before refinancing makes sense? That often depends on how long you plan to stay in your home. Typically the fewer number of years, the wider the spread needs to be. 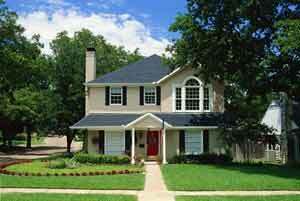 I can help you weigh the cost of refinancing against the projected monthly savings you may realize. How much time and money will it cost to refinance? Again, that will depend on your specific financial profile. Applying for a refinance loan involves a process similar to getting a home purchase mortgage, and you will be charged certain fees. There are programs available that can greatly reduce the amount of documentation required – which can speed up the time it takes to complete your loan. Should you choose an ARM or a fixed-rate mortgage? Most ARMS adjust annually, either up or down. So even at a below-market start rate, it’s possible your ARM interest rate could soon exceed current interest rates. If you plan to remain in your home for a short-period, an Intermediate ARM, with a low introductory rate that remains fixed for several years before the first adjustment, may be best suited to your needs. We would be happy to run various loan program scenarios to help you balance all the factors and make an informed decision.